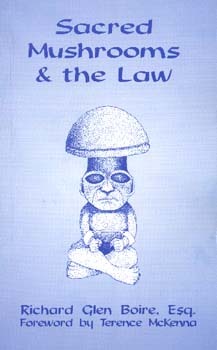 Sacred Mushrooms & the Law is the only book covering the legal landscape underlying psychedelic mushrooms and their active principles. Written by Richard Glen Boire, an attorney specializing in the law of shamanic inebriants, this completely expanded and updated second edition provides practical tactical information never before accessible to the layperson. All federal and state laws concerning psilocybin, psilocin, and psilocybian mushrooms are covered. Easy-to-use chart clearly spells out potential punishments for those so daring as to defy governmental edicts. Richard Glen Boire's manual on the current legal status of psilocybin/psilocin provides valuable information to anyone caught in the Kafkaesque danse macabre of "preparing their defense."